In the state of New Jersey, 888 Holdings and Caesars Entertainment have partnered to offer 888Poker NJ, an online poker option for those inside the state’s borders. 888 Poker is a trusted brand in the industry and one that provides quality game play in a secure environment. The New Jersey Division of Gaming Enforcement has licensed 888Poker to operate in the state and the site has proved to be quite popular among gamblers. Although, like most of the legalized sites, they will be facing some stiff competition from PokerStars once they’re fully operational in the state. 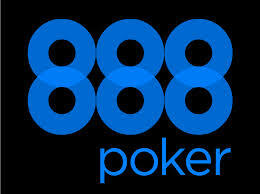 888Poker NJ operates on the All American Poker Network and is the only operating site on the network. The site is currently 3rd in rankings for online poker in the state of New Jersey. New players to the site will find a generous bonus of 100% worth up to $888. This bonus has an expiration of 90 days after the deposit and the bonus cash will be released in increments of $10. This is a competitive bonus according to New Jersey standards but pretty standard amount overall. 888Poker NJ also hosts solid promotions with freerolls and more. The site commonly offers various contests and special events so players can earn extra cash. They will hopefully be ramping up their efforts as the legal online gaming market in the state has heated up in the last year. The online poker room in New Jersey also offers rewards options titled 888poker Rewards. Players have the ability to earn bonuses, freeroll entries, cashback and more just for playing poker. First, players need to play in cash games, multi-table tournaments or Sit & Go’s. Each hand played will earn Status Points and Rewards Points. The Status Points determine the status level and this determines what rewards you earn. Rewards members are also given access to exclusive freeroll each month with as much as $10,000 in guaranteed prize money up for grabs. Reward points are how you earn cashback at 888Poker. You can use the points whenever you like and will earn a certain percent of cashback based on the amount of points you have and status level. Using Dragonfish software of 888, the 888Poker NJ site has quality software, providing an easy to navigate interface, even for beginner players. The software is feature-rich with customizable options so that players can experience the online poker experience they want. The software comes in two forms: Downloadable and Mobile. With the Downloadable content, players will have the option of playing on Windows or Mac systems. The Mobile version is available in the iTunes store for iOS as well as in Android form. Cash game buy-ins start at under $1 and go as high as $5/$10 in blind limits. Tournament buy-ins at 888 seem to meet the industry standard at $1 to $50. However, for specialty tournaments or events, the buy-ins can reach the three figure range.